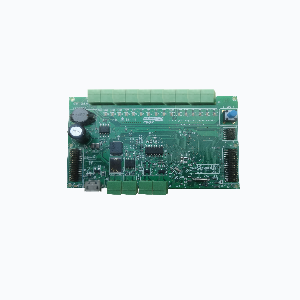 The Intelligent Digital Input Module is a Freescale Kinetis Microcontroller based board with digital isolator, designed mainly for automotive industrial application. The board features Kinetis K series with ARM Cortex M4 Architecture,8KB RAM and 64 KB flash memory. ARM Cortex M4 processor has operating frequency up to 72MHz. Also the Digital Input module has Infineon’s Digital Isolator and Texas Instrument’s CAN and RS485 driver ICs. The module has 16 number of digital inputs which can support various types of sensors with output up to 35V. Also the module can support various types of communication interfaces like I2C,UART,I2S and USB. 9V to 24V through the terminal block. Up to 72 MHz ARM® Cortex-M4 core. Unique identification ID for each IC. 64KB on-chip Flash & 8KB RAM. Expandable up to 256KB on-chip Flash & 32KB RAM. Full duplex – I2S interface. Four peripheral connectors enabling major communication interfaces. 85×53.98mm (Approx. Credit card Size). 16 isolated digital inputs that support different types of sensors with output up to 35V. 16 bit ADC (Up to 3.3V).